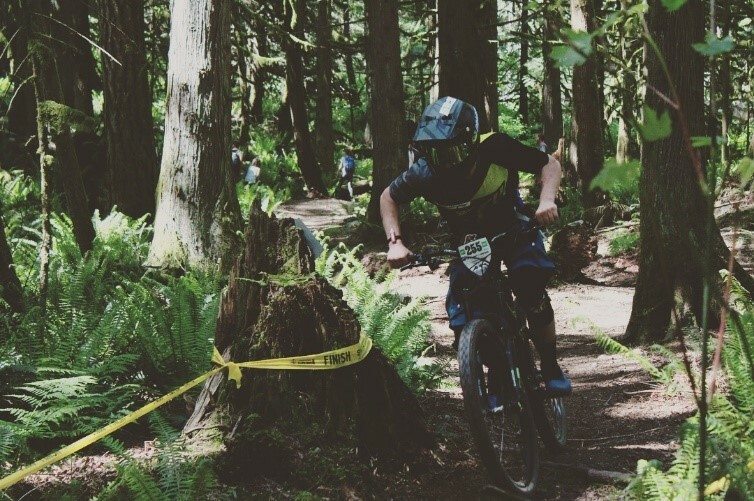 "The Fraser Valley Enduro was set to be one of the most important races on the schedule this year. 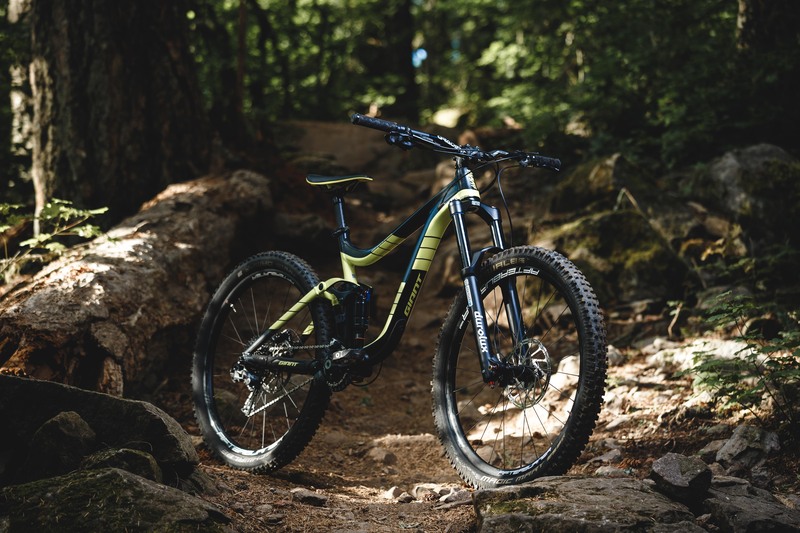 It is the kickoff event of the Canadian National Enduro Series along with an EWS qualifier so we knew the turnout was going to be packed with heavy hitters. A vast amount of preparation went into this race as we went up to the mountain 5 times prior to the event to make sure every stage was as dialed as can be. This made sure that bike setup and rider comfort was on point so no adjustments had to be made the weekend of the race." "On Thursday night, we arrived at the venue which is right on Cultus Lake where we were renting a beach house for the weekend as it was both my brother’s birthday and also Mother’s day. In the morning we setup what could be the best pit spot of any race to get everything finalized before heading out for early morning practice. The forecast for the weekend was 80°F and sunny, so despite the rain the past week, we knew the courses were going to be loose and dusty. Since we already had the stages dialed in from all the test days, Friday and Saturday practice was kept to a minimum to keep the legs fresh for race day. The stage courses were definitely blown out, but confidence was high going into Sunday." "This event was set to be the longest day of racing out of the whole year with 5 stages and 7,500 ft of climbing which is 1,000 ft more than what the EWS permits in day. Luckily, U21 was the first class off at 7:30 a.m. so heat wasn’t going to come into play for a while. We started off with about an hour and a half climb then stages 1-3 in quick succession." "Stage 1 was fast and loamy through clear cut up top, then tight blown corners through the trees at the bottom. It was solid and turned out to be the best stage of the day, only 3 seconds back off first. Stage 2 was back and forth between fast sections and punchy climbs and didn’t go so well and bumped me down to 14th overall but I knew I could make up time on the long and technical stage 3. Stage 3 had everything; double black steep tech at the top, jumps then berms then high speed tech at the bottom. This was my best stage and I was looking for a top 5 finish and was on a killer run until the middle section. I popped out of this G-out like I had done many times but it tossed me a little sideways and when I landed, I smashed my foot into a stump that was hidden in the bushes on the side of the trail. I was down for a while but got up and continued racing in a ton of pain with what felt like a broken toe. I finished the stage 35 seconds back so I knew the run was a heater until my go down. I got the toe bandaged up, popped 4 Advil and continued the day." "The pain was horrible and I limped for 2 hours up the stage 4 and 5 climbs and grinded it out on the way down. In the end, I put so much effort into this race and was gunning for a top 10 if not a top 5 but had to settle with a 12/50 and the top American. These types of races happen and I’m really stoked with how I did, considering the circumstances. I’m that much hungrier to knock it out of the park at the Red Bull Pumptrack qualifiers this weekend."